Back up your important files and protect them from ransomware with SkyFlok. At SkyFlok we keep all previous versions of your files. Damage to the latest version due to a ransomware attack in your premises does not compromise the past versions. Fighting off malware, viruses and hackers is a seemingly endless challenge. With the ever-evolving tactics criminals use to attack your computer and its contents, you find yourself going about the drill: install security software, update, repeat. This continuous cycle of protection may have you feeling confident against intruders, however slight. Please don’t get too comfy, as I am here to discuss a ruthless threat that demands your attention. While you sit back in your comfy desk chair thinking your antivirus and firewall are sufficient safeguards from the evils of the web, think again. Mischievous web dwellers have taken a decades-old malicious software and improved its ability to lock you out of your device until you pay the price, literally, turning it into a new sort of ransomware. Before exploring how to protect yourself from this insidious software, I must share a few unpleasant details. The most common type of ransomware is an encryption program that replaces your valuable documents with encrypted copies. Once encrypted, you will not have access to the originals until you pay a ransom, typically in bitcoins, to the perpetrator. This payment is made with the hope of him or her providing you with an encryption key to decrypt your documents. In general, ransomware has been used to extort money from businesses and organizations. 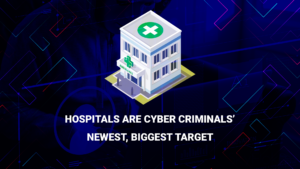 However, one of the most notable widespread incidents was the WannaCry outbreak in 2017 which infected the systems of organizations and individuals in over 150 countries. Reportedly, the hackers made off with $1 billion from computer users who were desperate to save their files. Note: Ransomware has been detected for Macs. How did I get ransomware? According to UC Berkley’s information and security policy, there are a few ways hackers can infect your system. Encrypting ransomware can be spread through phishing emails with malicious attachments or they’re added to your system when you visit an infected website, which is called “drive-by downloading.” It can also spread through social media via web-based instant messaging apps. Attention Windows XP or Vista users, you should have received a warning from Microsoft that the company is no longer supporting these operating systems. Moreover, unless you upgrade to Windows 10 or purchase a new computer, your existing system is at high risk for a ransomware infection. For users of Windows 7 or newer operating systems, it is essential you enable Automatic Updates. Turning on this setting will allow for the automatic installation of security patches when they become available. In addition to updating the operating system, your browser and any related plugins require attention when it comes to securing your computer. Hackers have found vulnerabilities in common browser plugins such as Java or Flash which can result in infection via the above mentioned drive-by downloading. Unfortunately, what seems like innocuous tasks such as visiting a website or viewing an ad, if compromised or malicious, they can introduce ransomware to your system. Considering how hackers with little effort can make their way into your computer, adding extra security layers to your system will force hackers to work twice as hard to get to your data. And, even though there are no foolproof ways of preventing an attack, installing a reliable anti-malware program will provide an additional level of protection. An advantage of using an anti-malware program is that it will quickly update and block any newly discovered malware. For numerous reasons, including the threat of ransomware, it is imperative that you get into the habit of backing up your data. The reality is, some ransomware is intentionally designed to encrypt all data regardless of where it may be stored, including your external hard drive, cloud or across your network. There are a couple of options to protect yourself, continue backing up your files to an external hard drive, then disconnect it, or utilize a cloud service that automatically updates your data. This method will allow you to recover earlier versions of your files if any of the most recent ones are encrypted. If you’re looking to back up your computer, our sponsor IDrive can back up all your PCs, Macs and mobile devices into ONE account for one low cost! Go to IDrive.com and use promo code Kim to receive an exclusive offer. Save 50% on 2 TB of cloud backup now! That’s less than $35 for the first year! If you are ever hesitant about opening an attachment to an email or clicking on any links within an email, do not do either. Although you may recognize the sender’s name, understand his or her name can be spoofed all under the guise of being legitimate. When in doubt, contact the sender and verify that he or she sent the email to you.